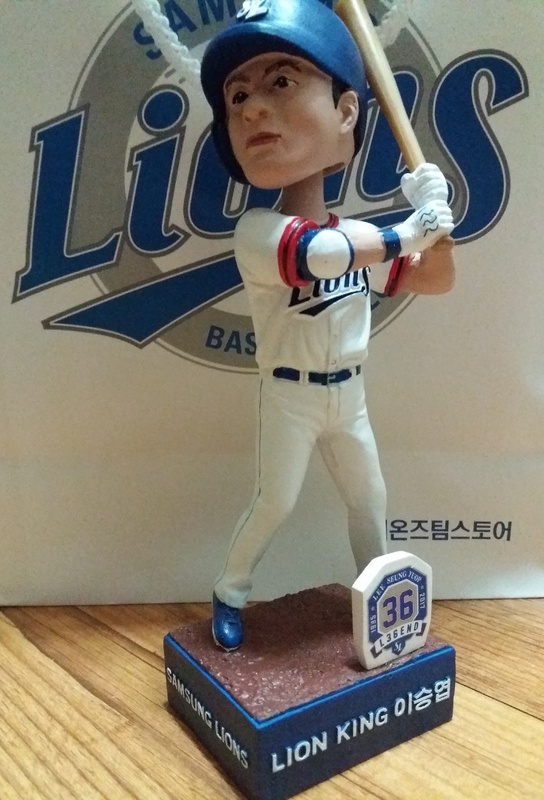 Thanks to my friend John who notified me last night, I went to the team shop and picked up the Lee Seung-Yeop bobblehead. 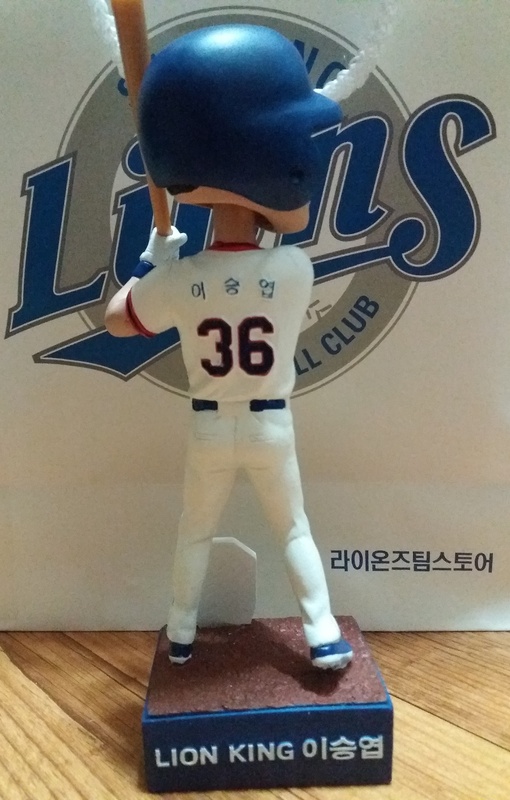 The cost of the bobblehead was 22,000 KRW (~$18 USD). While the bobblehead has a horrible resemblance of Lee, I was going to buy it regardless to go along with the statue I bought of Lee last year. Its a nice looking Bubblehead and its made by the same company that makes the ones for MLB. So its good quality. I have heard that some are going for the price of 160,000 won.